Speaking to local media, the soon to depart President said Europe could no longer be uniform, given its current size (27 member states). "For a long time, this idea of a differentiated Europe, with different speeds and distinct paces to progress, provoked a lot of resistance. Today this idea is necessary, otherwise Europe explodes," Hollande cautioned. Hollande envisaged "a common pact, an internal market with a single currency for some," which will enable integration of defense, finance, economics research and culture for states that want it. Conceding that some countries will "never" join the eurozone, he said economic and monetary union should be deepened without them. His comments come as EU leaders prepare to meet in Versailles to commemorate the 60th anniversary of the signing of the Treaty of Rome, which founded the European Economic Community, the forefather of today's EU. It is expected a declaration mapping out the EU's prospects for the next decade will be published. They also echo the sentiments expressed in a white paper issued by European Commission President Jean-Claude Juncker, in which he outlined five scenarios for the EU in a post-Brexit world. ​"For too long there has been a gap between what people expect and what Europe is able to deliver. We should not pretend Europe alone can solve the problem. It is time we, and member states, were honest about this," Juncker said upon the unveiling of the paper. ​While Hollande suggests a multi-speed Europe is necessary to prevent the bloc from imploding, Peter Kouroumbashev, a Bulgarian MEP in the Socialists & Democrats group, believes that approach could conversely sow the seeds of the EU's destruction. Speaking on local television, Kouroumbashev warned the prospect amounted to a "sort of 21st century modern apartheid." "Maybe Europe has decided to formalize the existing inequalities in the EU by adding new layers in decision-making. These ideas could end up destroying the EU. After the migration crisis, the terrorist attacks, Brexit etc., two-speed Europe comes as yet another attack to break up Europe, but this time from the inside," he said. ​Speaking with reference to the ideas of liberal ALDE group leader Guy Verhofstadt, who suggested the introduction of a voting system that gives full voting rights to eurozone members and "non-binding advisory votes" to non-eurozone members, Kourombashev said it would effectively relegate Bulgaria to the status of "visitors" in the European Parliament. Bulgaria, Kouroumbashev argued, is not far from euro accession. The Bulgarian currency, the lev, is already pegged to the euro, and the country has also been considered fit for Schengen membership by the Commission for some time, fulfilling all technical requirements five years ago. On this basis, he argued against the creation of "artificial divisions" in the EU, and attempts to separate older and newer members on the basis of unsubstantiated assumptions. He added that it would be impossible for Bulgaria, due to adopt the rotating EU presidency from January 2018, to encourage its Balkan neighbors to join the EU "as substitute members with non-binding opinions." 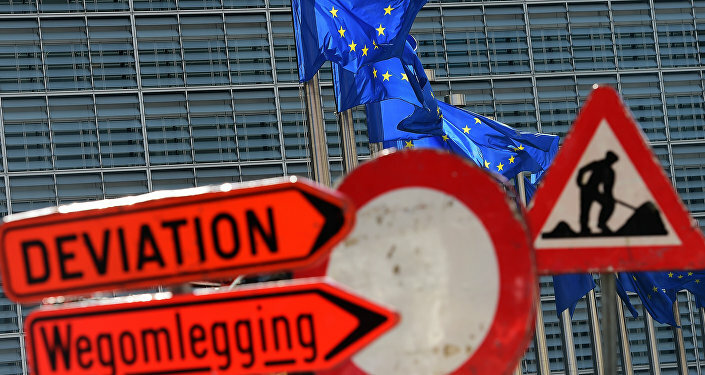 However, the prospect of a multi-speed Europe has been meet with disbelief in some quarters.